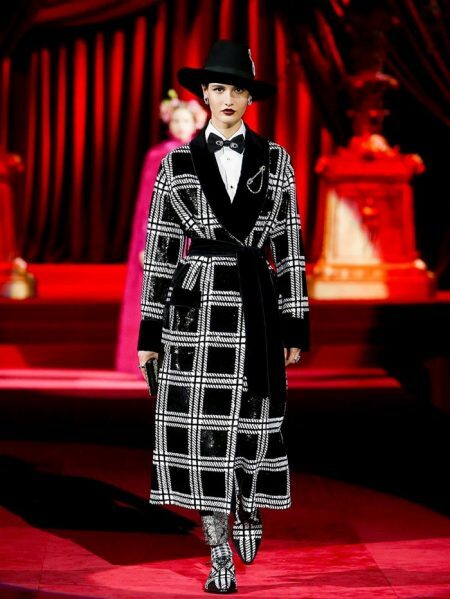 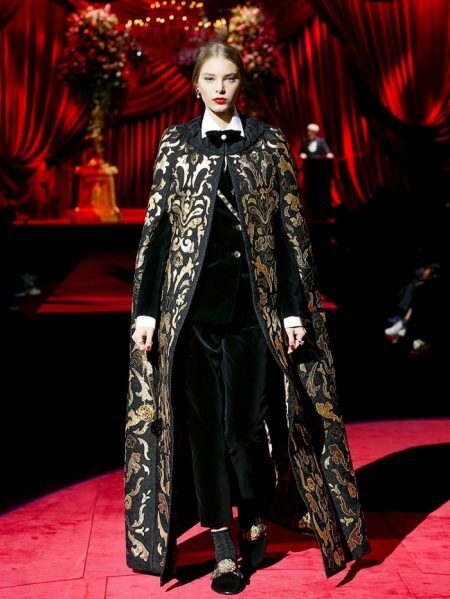 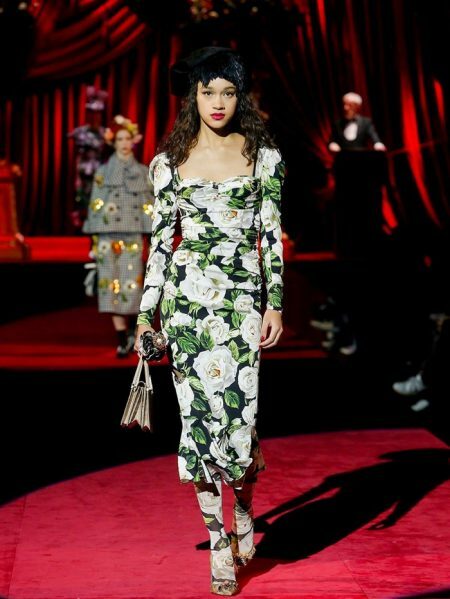 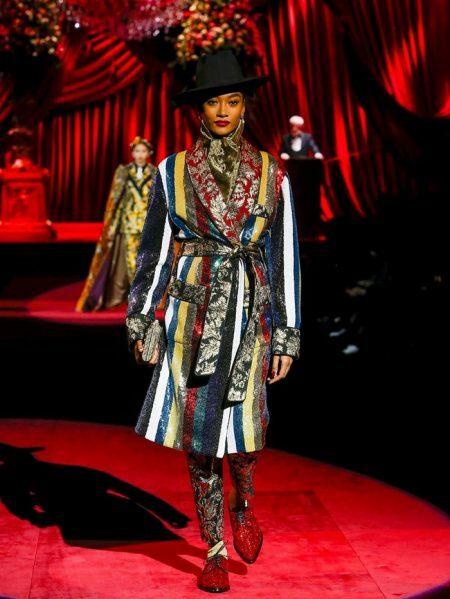 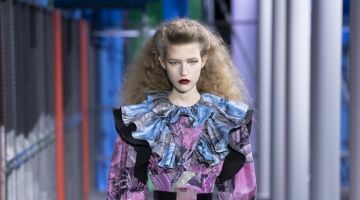 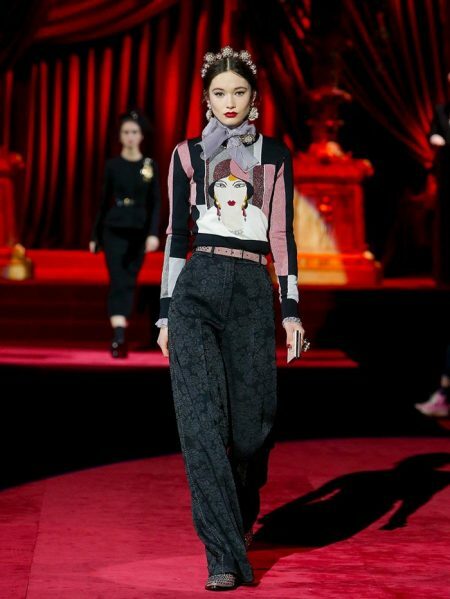 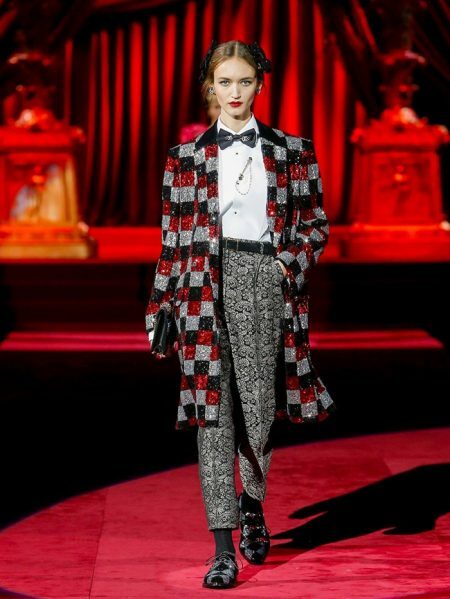 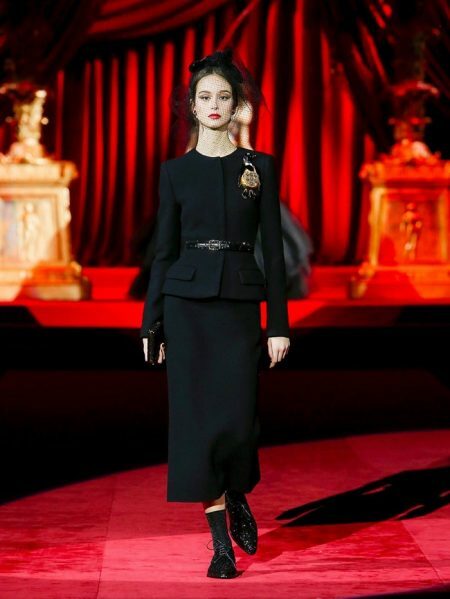 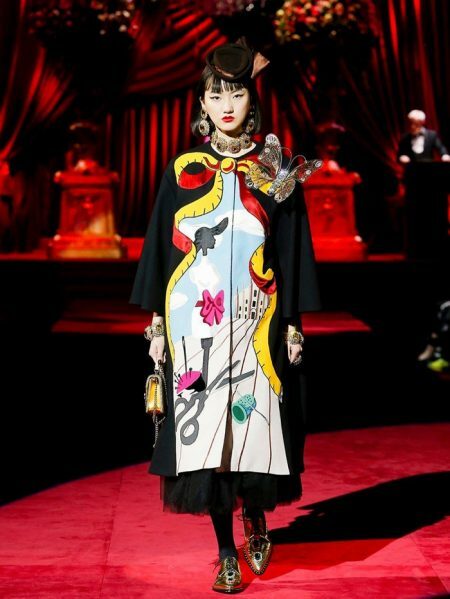 Dolce & Gabbana trades in a cast of influencers and famous children for models with its fall-winter 2019 collection presented during Milan Fashion Week. 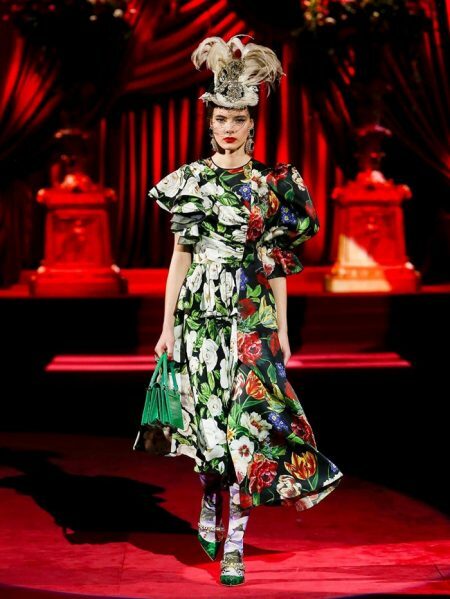 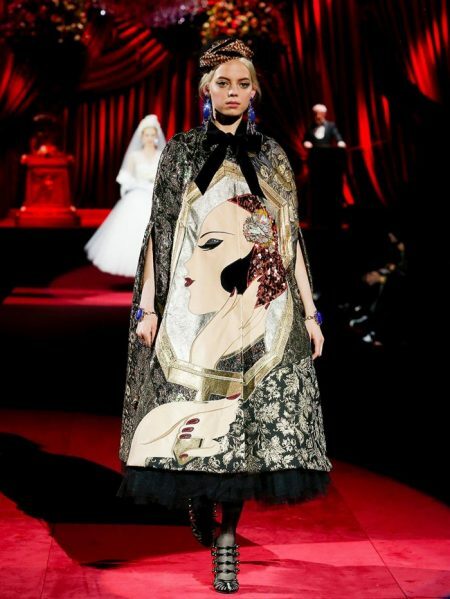 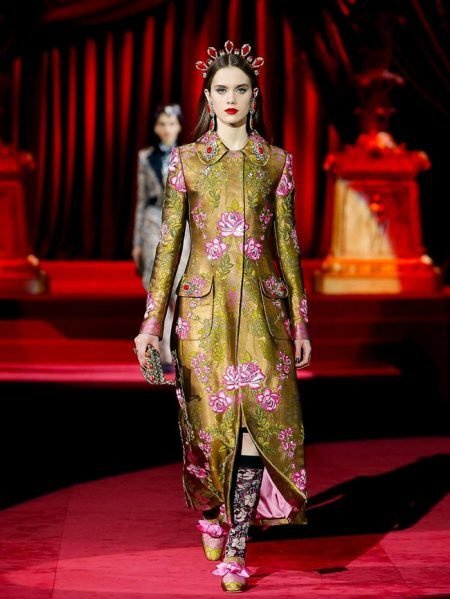 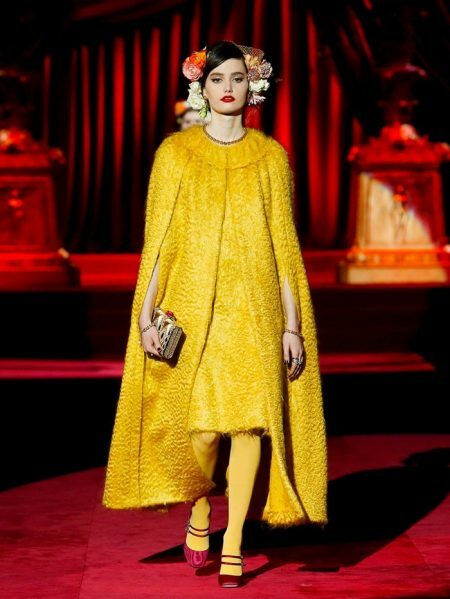 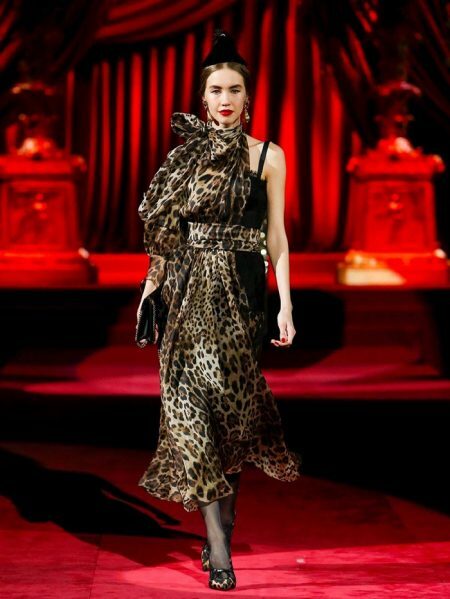 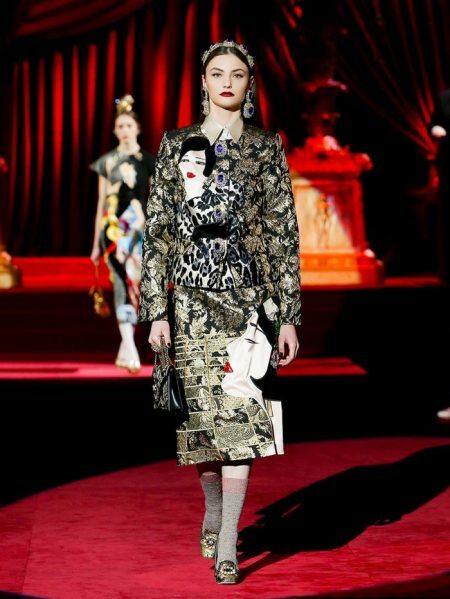 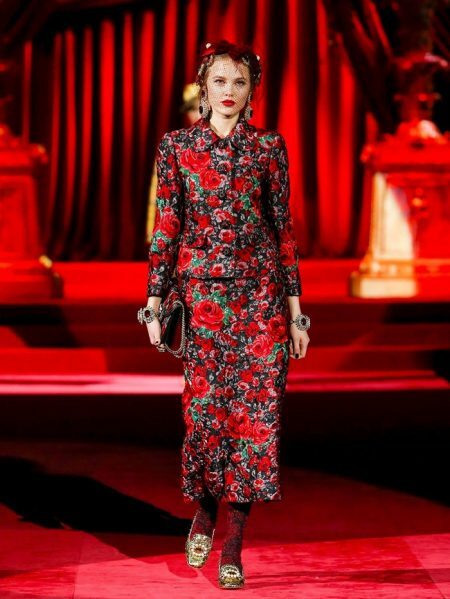 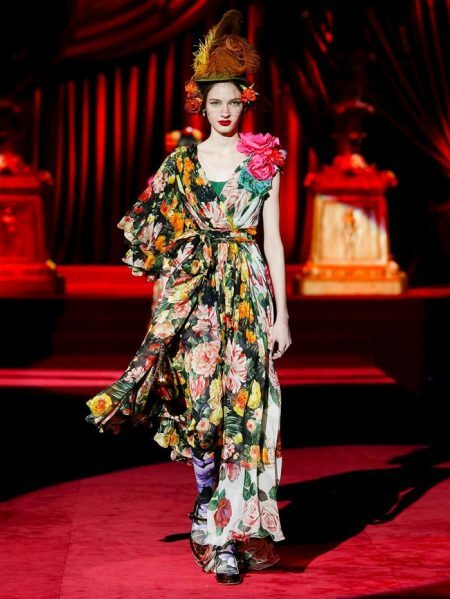 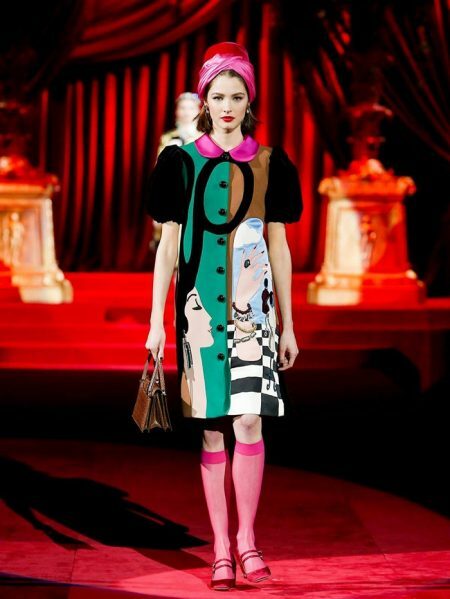 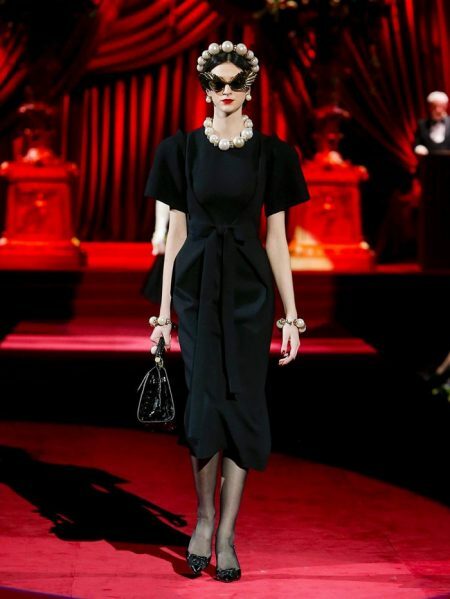 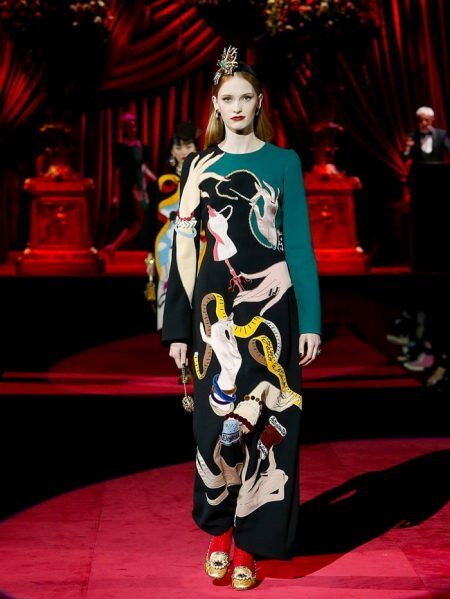 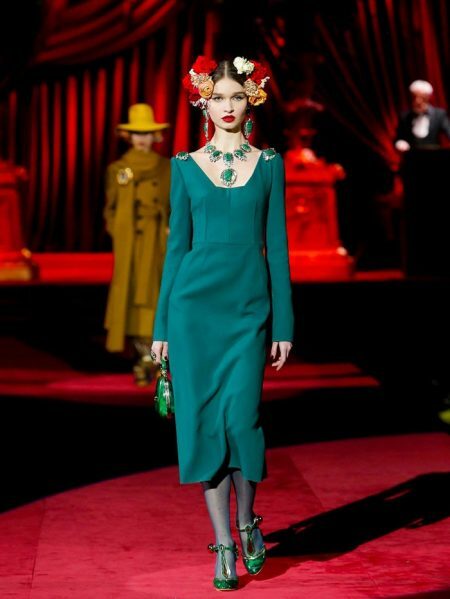 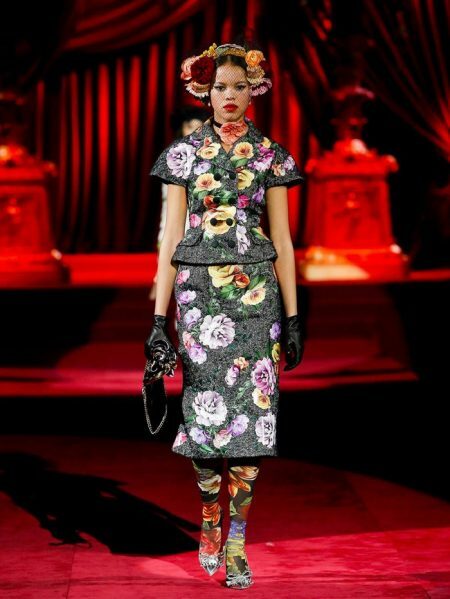 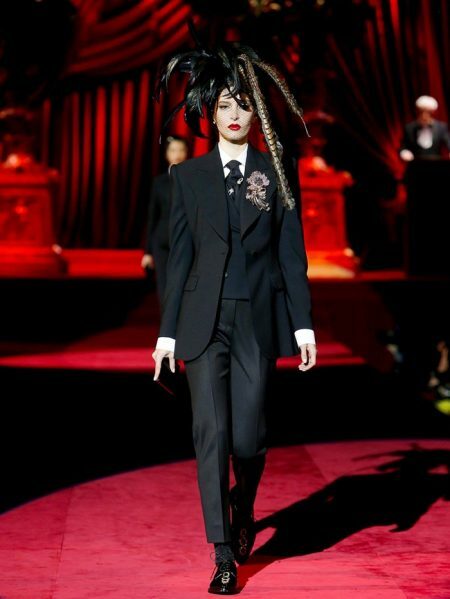 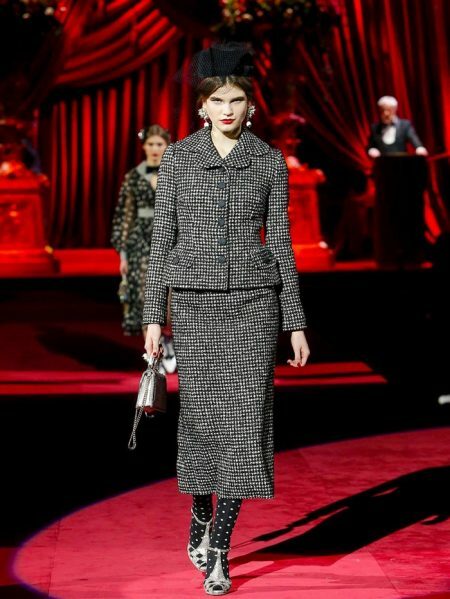 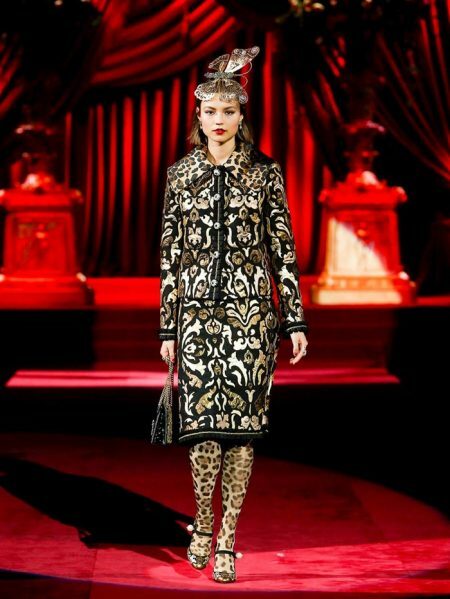 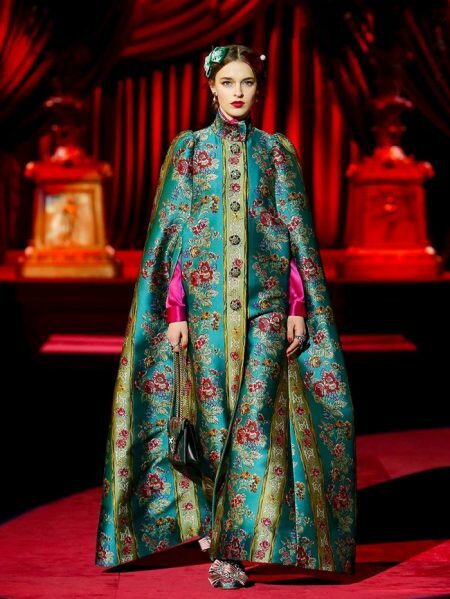 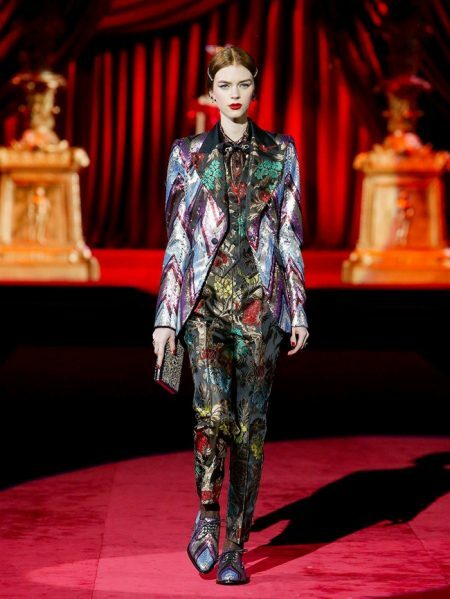 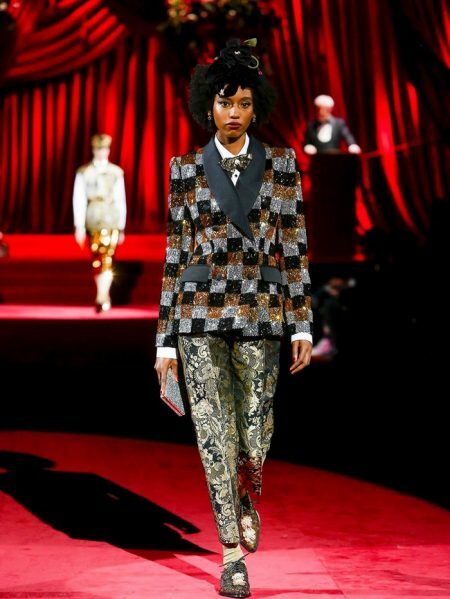 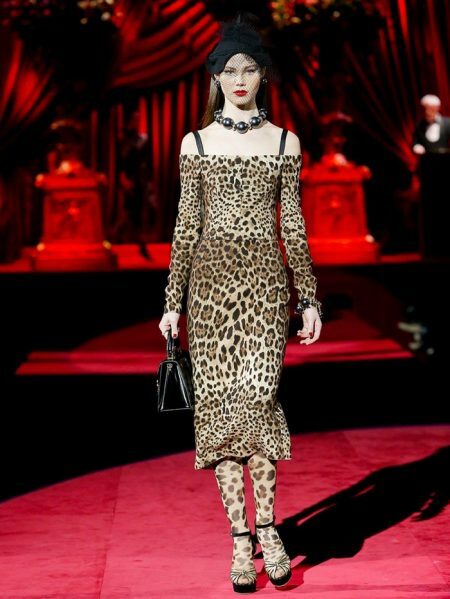 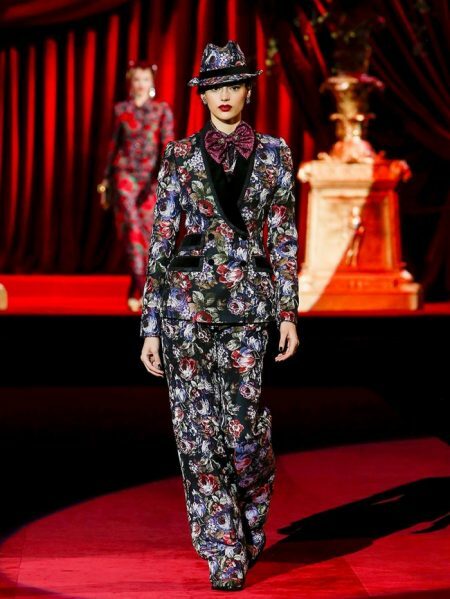 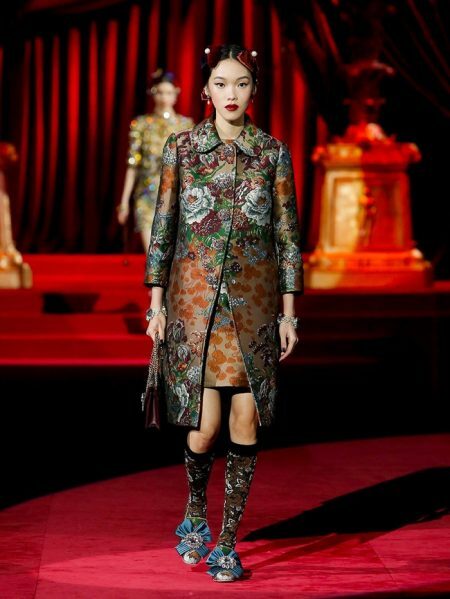 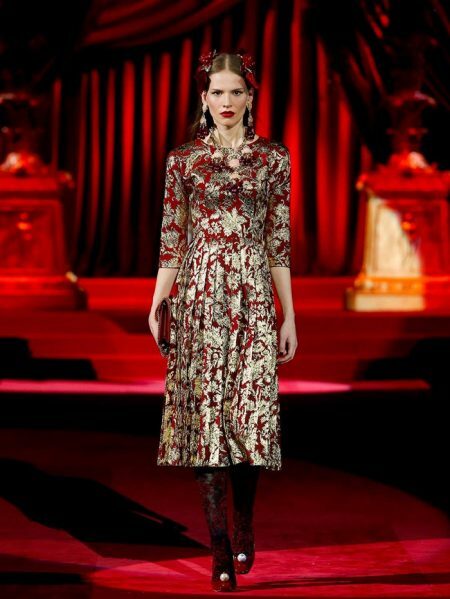 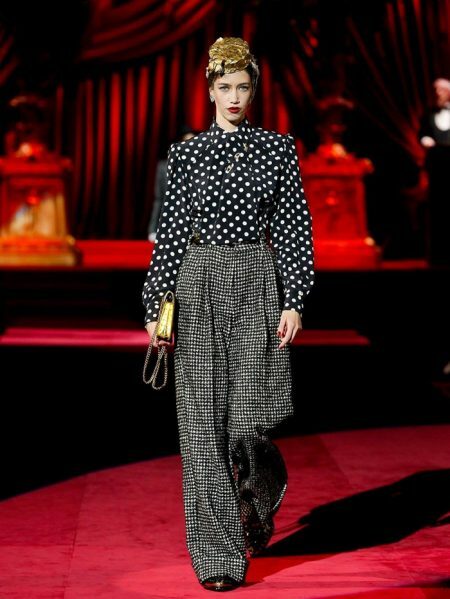 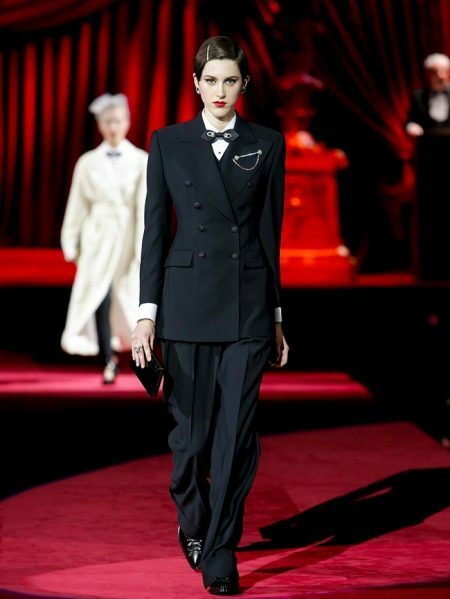 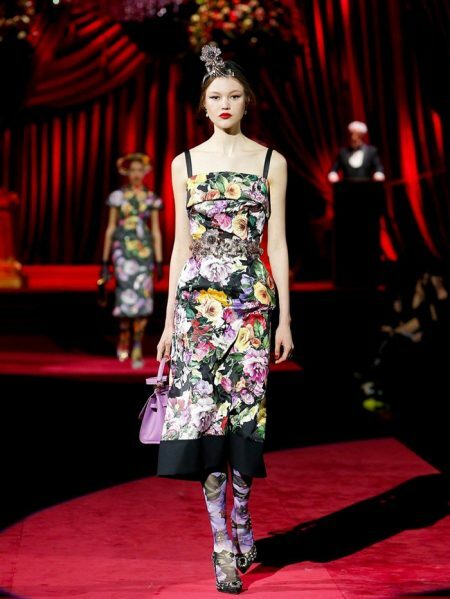 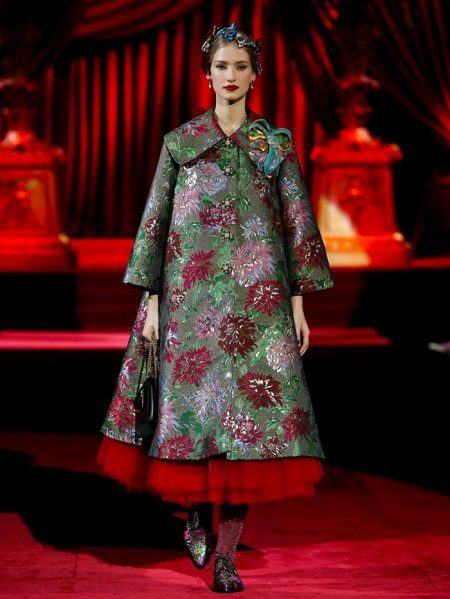 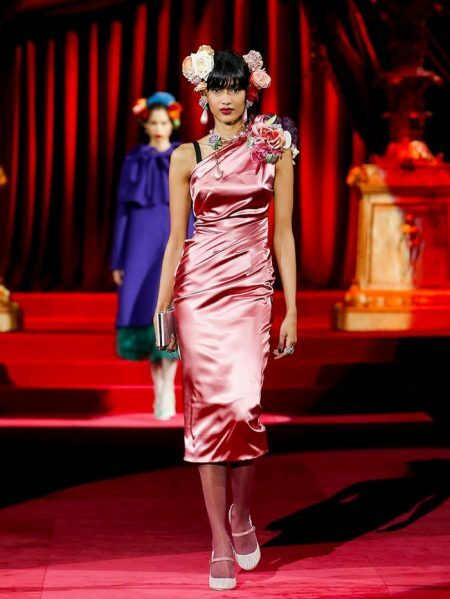 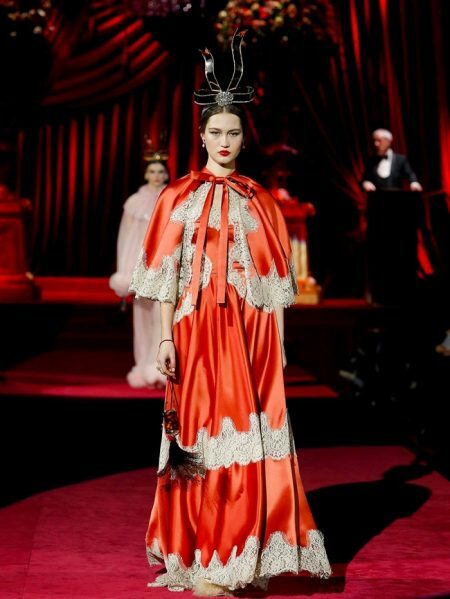 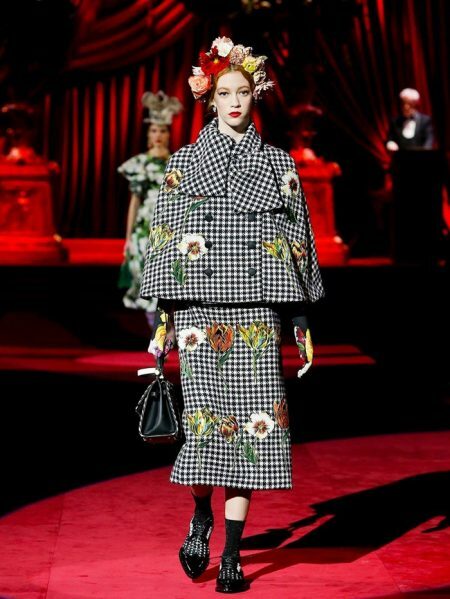 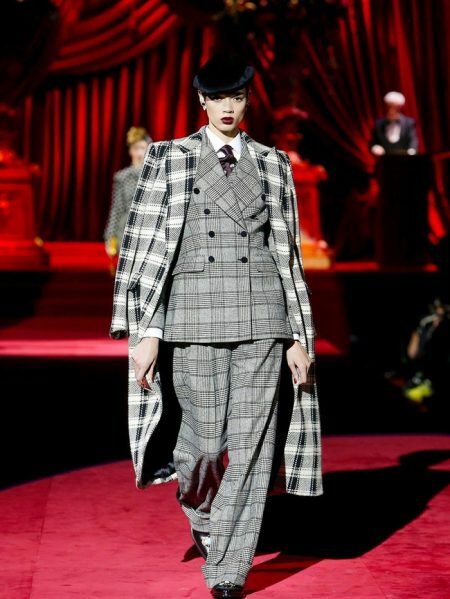 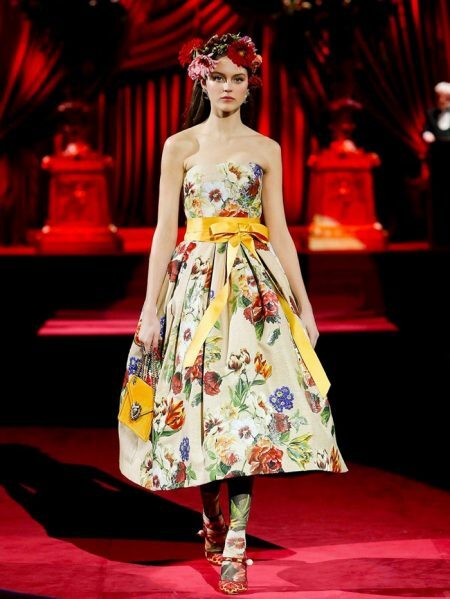 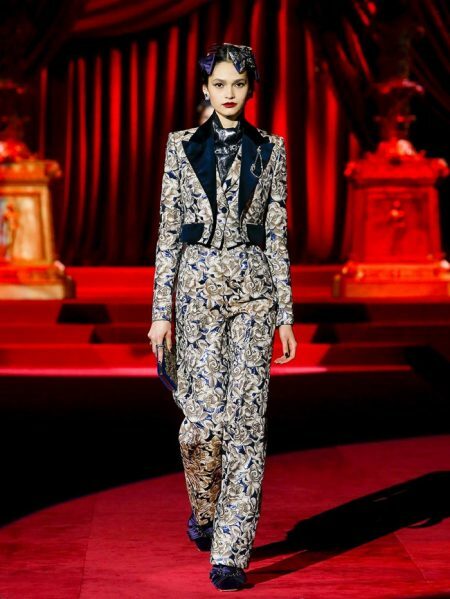 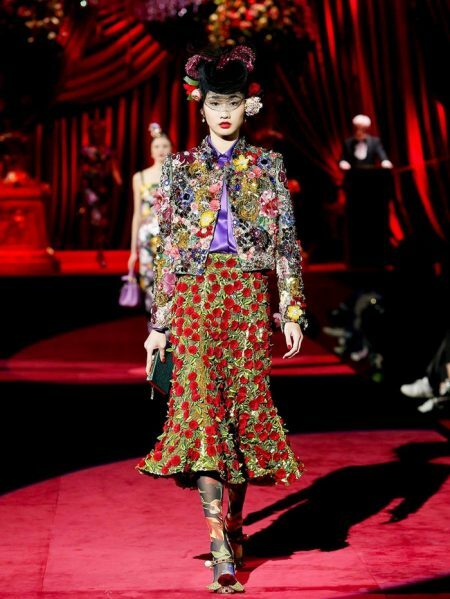 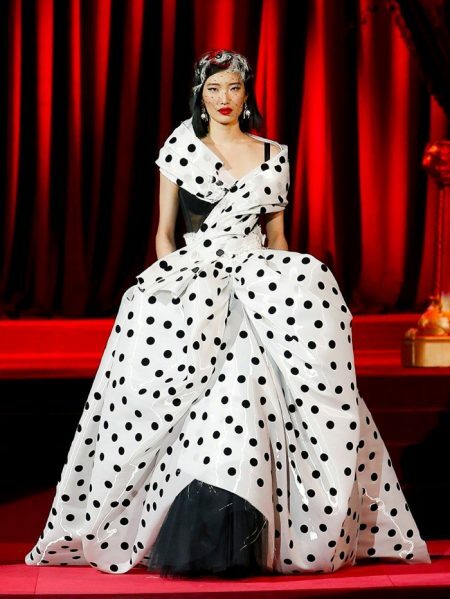 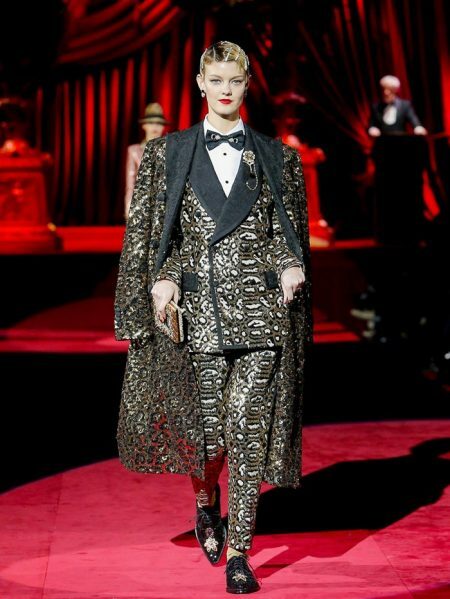 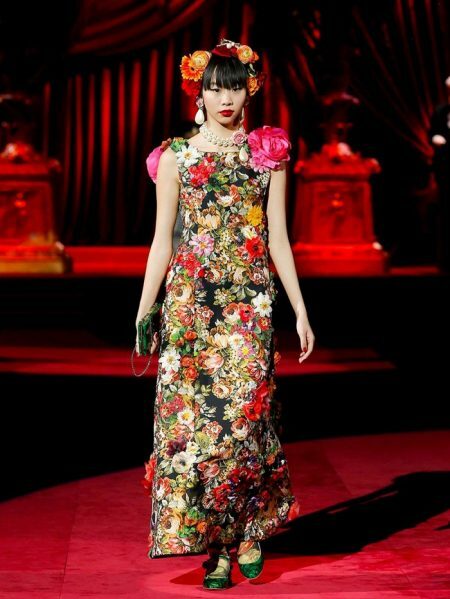 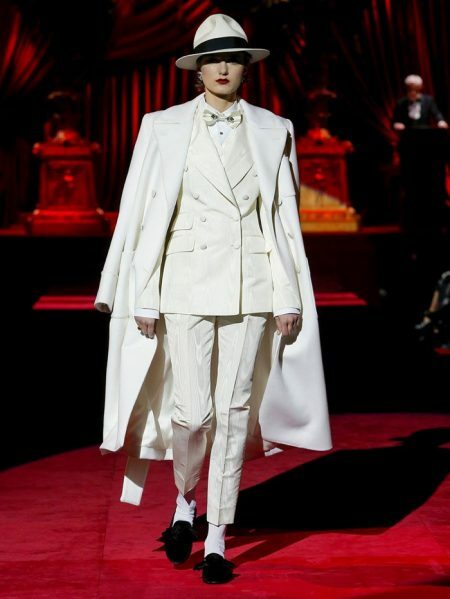 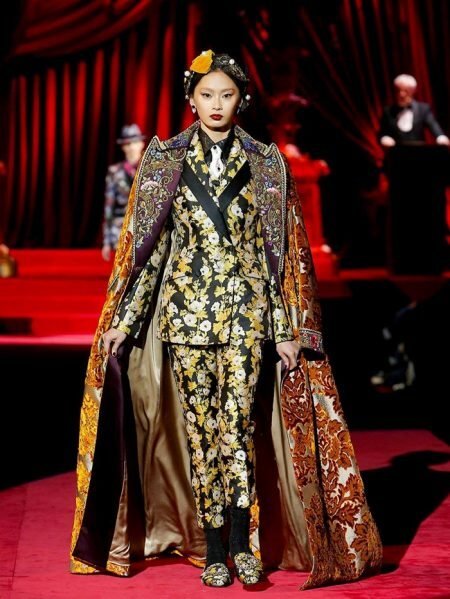 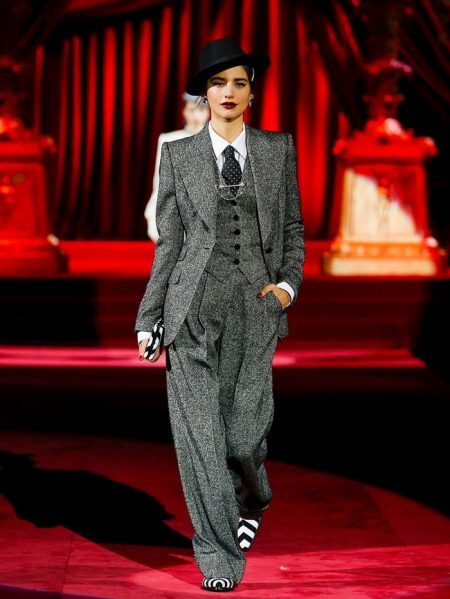 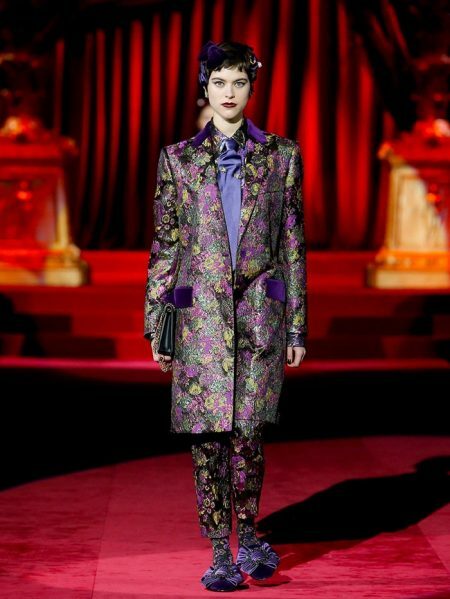 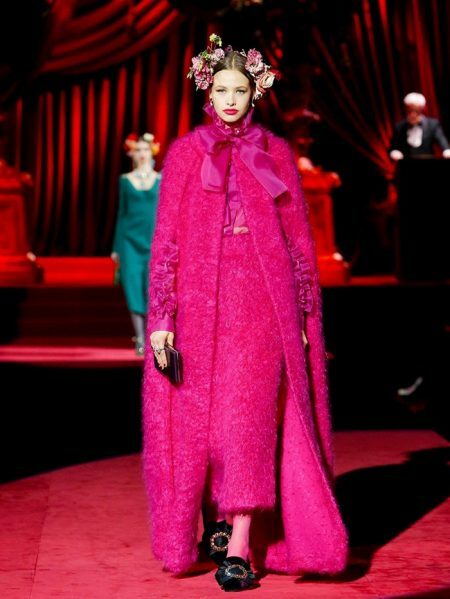 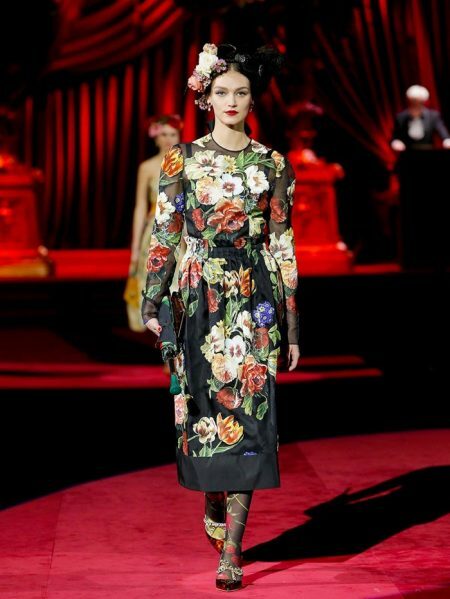 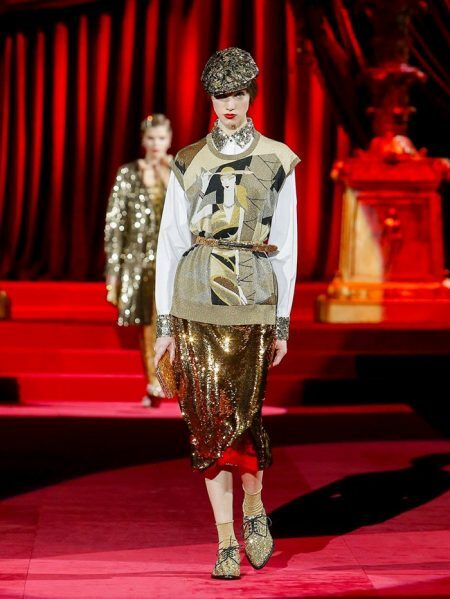 For their new collection, designers Domenico Dolce and Stefano Gabbana focus on ‘Eleganza’ or elegance. 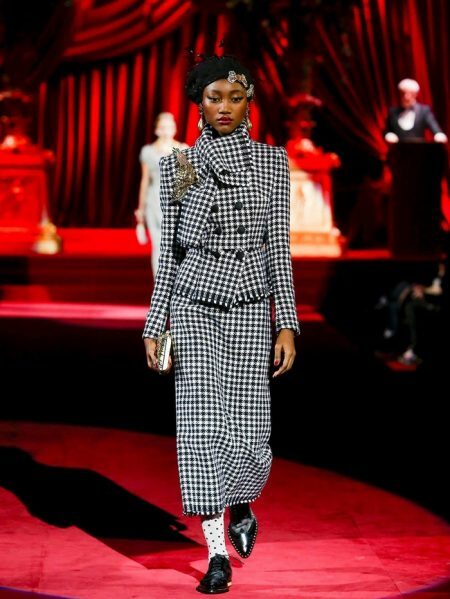 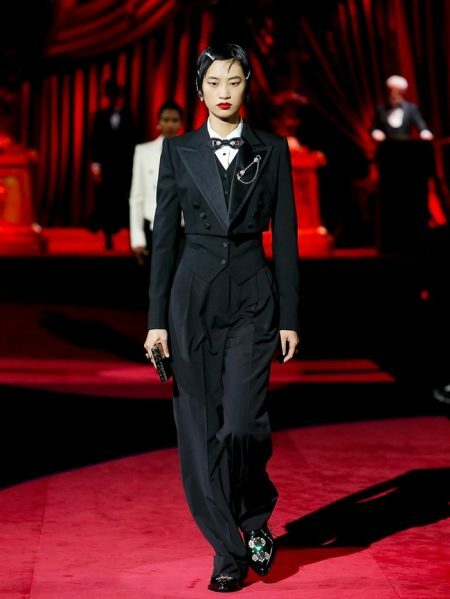 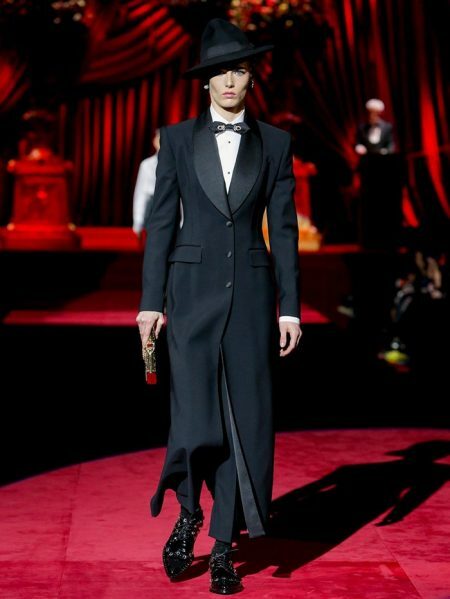 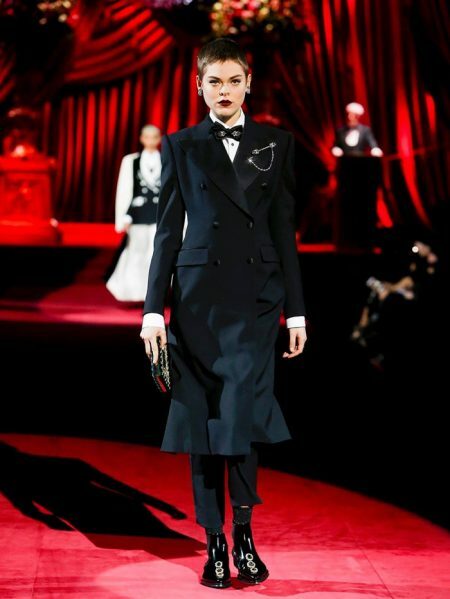 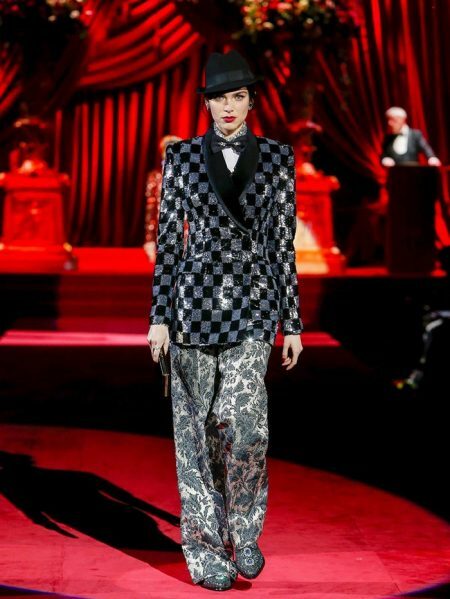 The runway show opens with a selection of black and white looks including elegant suiting as well as tailored outerwear. 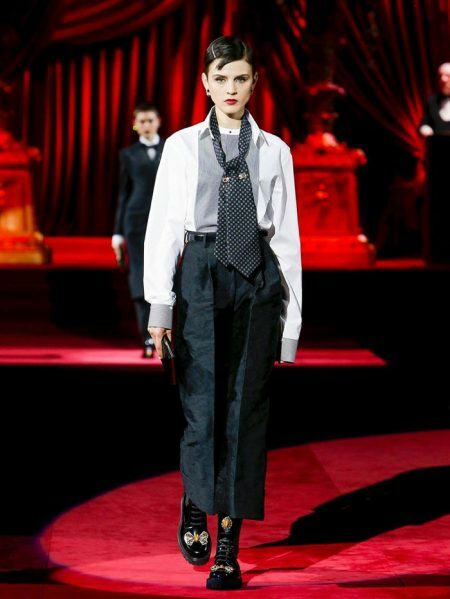 Menswear inspired brogues get a ladylike update with crystal embellishments and bows. 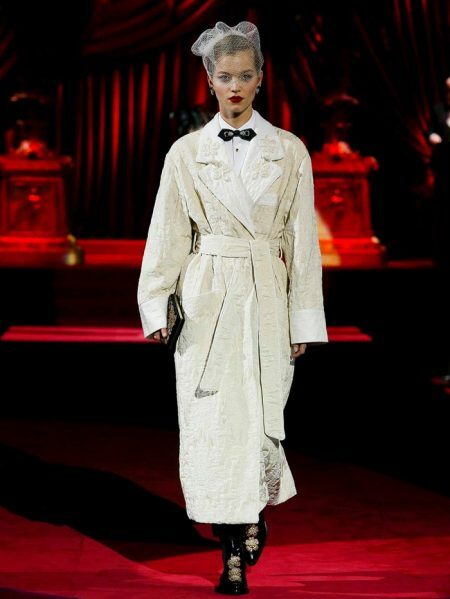 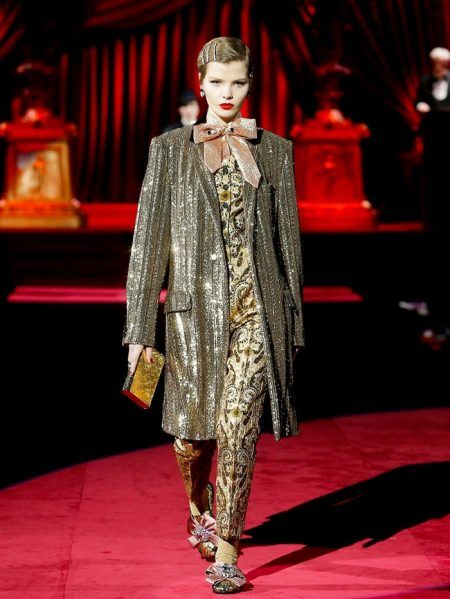 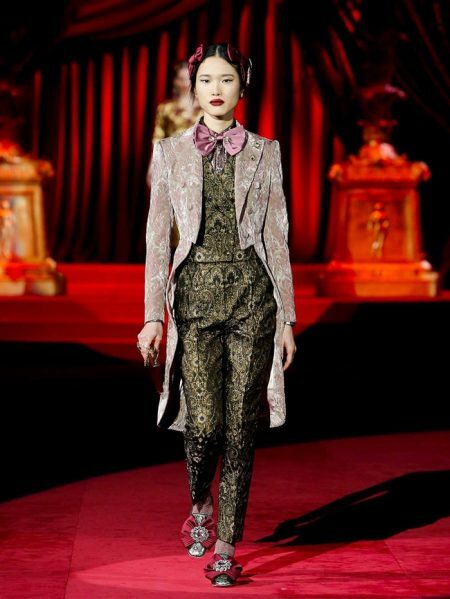 For those looking for more feminine options, Dolce & Gabbana offers fur trimmed pajamas in satin and lace. 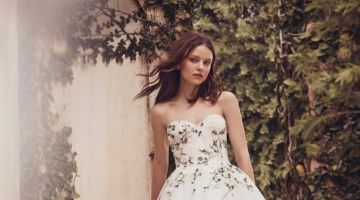 Ballgowns with ruched sleeves and wedding dresses in A-line shapes exude pure romance. 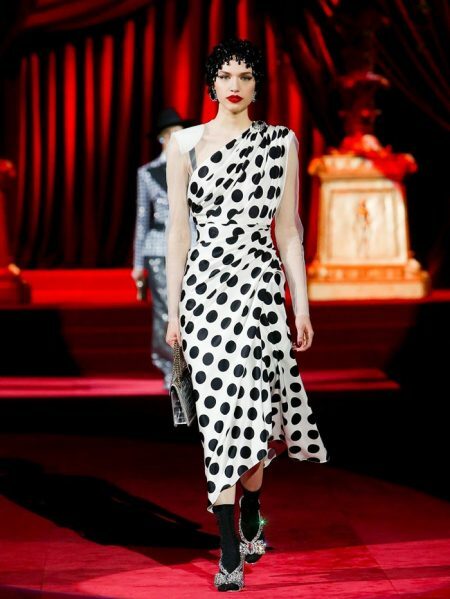 Throughout it all, retro inspired silhouettes reign supreme–nipped waists and boxy shoulders deliver 1950’s vibes.